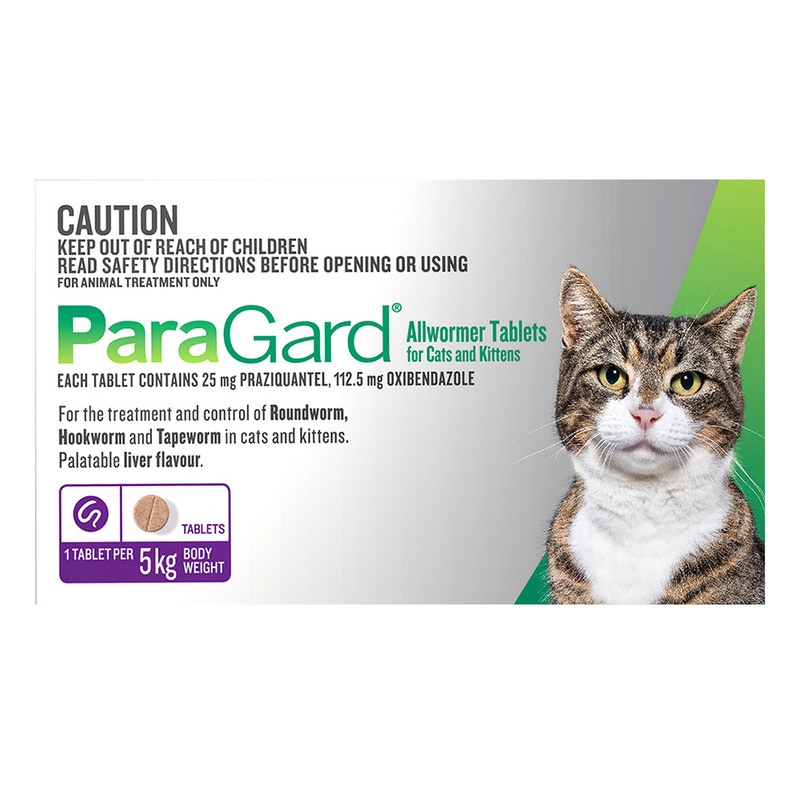 Paragard allwormer tablets for cats are a clinically proven oral treatment that safeguards them from intestinal worms. It is effective against various worms like roundworms, hookworms and tapeworms. The oral liver flavoured tablet is easy to administer as the cats savour the taste. Paragard for cats consists of the main ingredients – Praziquantel and Oxibendazole that are effective in treating the parasitic infections and preventing further worm re-infestations. They efficiently eliminate the worms residing in the pet’s body. Before starting with the worming treatment, weight the cat. Fasting prior to dosing is not necessary. The dose can be administered directly into the mouth. Give an individual measured dose at 2, 4, 6, 8 and 12 weeks of age. After 3 months of age, give an individual measured dose every month until 6 months old, then dose every 3 months. Keep away from the reach of pets and children. Read label carefully before opening the pack. My vet had recommended this product for my kitty and it is certainly effective. I could see her hind itching go away within a day or two. I bought this product after my vet's advice. It is really effective. Sushy has no more worm problem. I have used this product thrice now and never have to complain about its efficacy. It removes worms within a couple of days. I am really satisfied with this product.